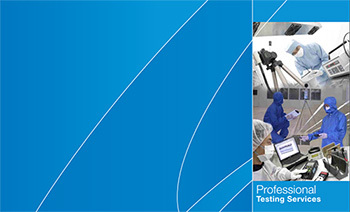 Cesstech’s arsenal of equipment and expertise facilitates a wide-ranging battery of ESDC (Electrostatic Discharge Control) tests and measurements on everything from materials to tools within mini-environments to ensure that these are “ESD-safe”. 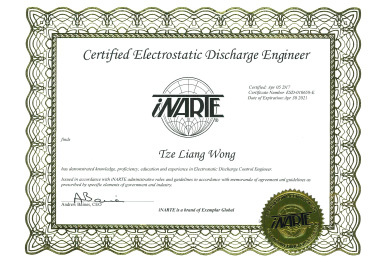 All the tests are supervised by iNARTE (National Association of Radio and Telecommunications Engineers) qualified and certified ESD technicians / engineers . 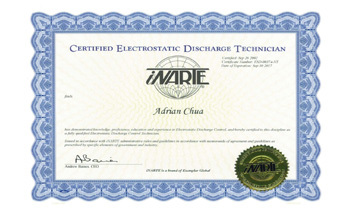 Our services include ESD surveys, audits and qualification services.